Don’t let your citrus go to waste! Learn how to freeze extra orange, lemon or lime juice (and zest) so you’ll always have some on hand to use in any recipe. Ever bought a bag of limes at Costco? You must have needed to make salsa for a small army, right? But the bargain price of $3.00 for a bag of 200 limes (okay, probably more like 20) made for an easy sell. Fast forward a few weeks later and our fridge was full of aging limes. 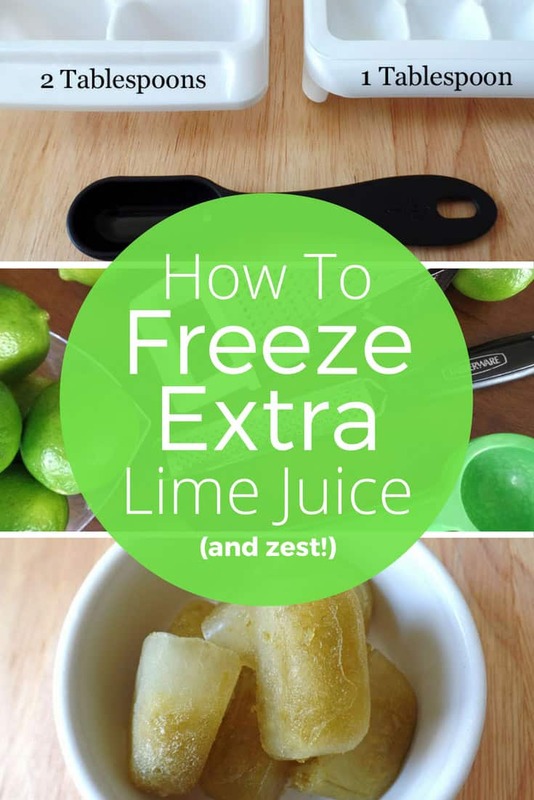 Unsure of what to do I turned to the Google box and found a ton of different ways to freeze extra lime juice. 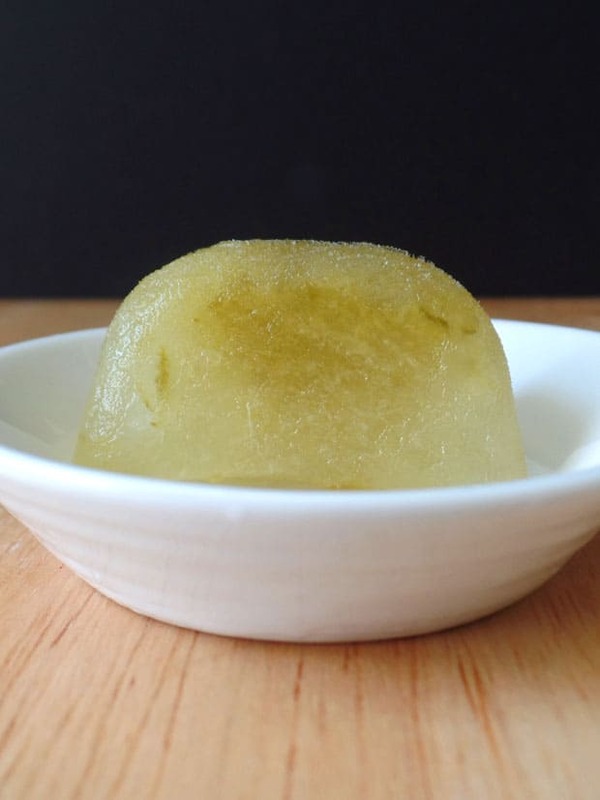 After trying many of them we came up with a simple and quick method that makes it easy to freeze extra lime juice (and zest) to use in future recipes. Last Christmas we received an awesome citrus juicer from my Mother in Law that does both lemons and limes! We use it so much it’s now my favorite housewarming gift to give, everyone loves getting one. Before you get to squeezing and freezing, you’ll want to figure out how many tablespoons each cube in the tray holds. This is important if you plan to use the cubes in future recipes. We have two sets of ice cube trays. 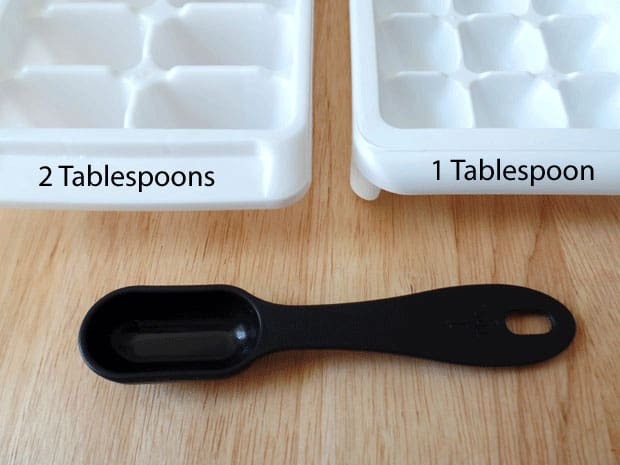 One that holds 1 tablespoon of liquid and one that holds 2 tablespoons. The easiest way to determine how much your tray will hold is to measure 1 tablespoon of water and pour it into one empty cube in the tray. If it fills to the top you have your answer. If there is still plenty of room try pouring in another tablespoon of water. Once you know the amount it’s time to get down to business. 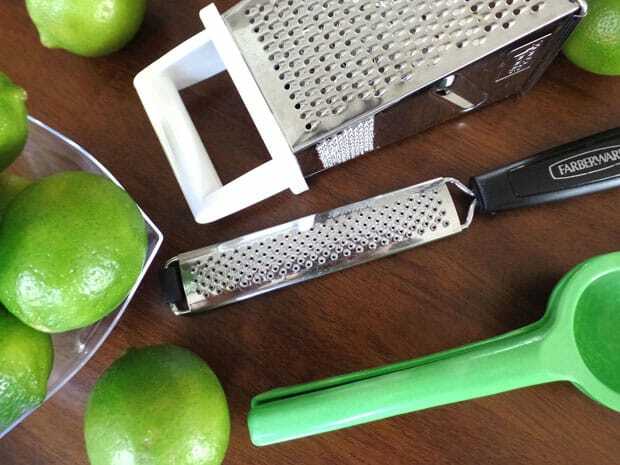 Start by zesting all of the limes. Put 1/4 teaspoon of zest into the bottom of each individual cube in the tray. Slice and juice all of the limes into the measuring cup or glass. Carefully pour the juice into the tray making sure to cover the zest. Place the filled tray in the freezer and freeze until cubes are solid. If you don’t have other plans for the trays (and the available space in your freezer) you can leave the cubes in them and pop them out as needed. Otherwise, store the cubes in a freezer safe plastic bag. Bonus points if you label the bag with how many tablespoons of juice are in each cube! 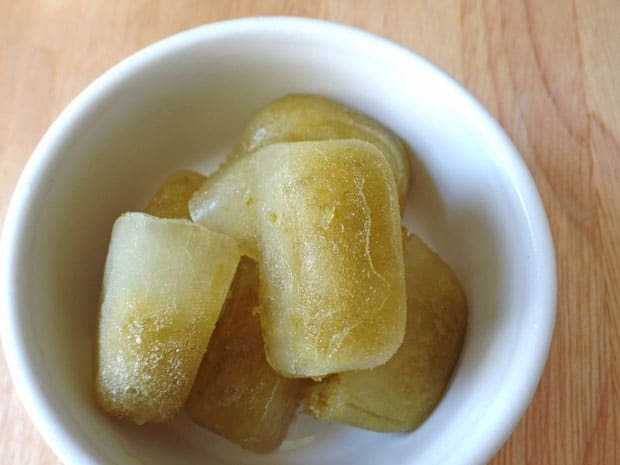 If you’re baking a recipe, defrost the cubes before adding to your batter. For soups and blender salsa we just toss the cubes right into the pot or food processor (this is where knowing how much juice is in a cube can be super helpful). You can also use this method to freeze the juice and zest for extra lemons and oranges too. Occasionally we’ll have a few cubes stick to the tray (especially with orange juice). If that happens, carefully pop them out with a butter knife or offset spatula. Dipping the bottom of the tray in warm water for a few seconds will also cause the cubes to release. Thank you! 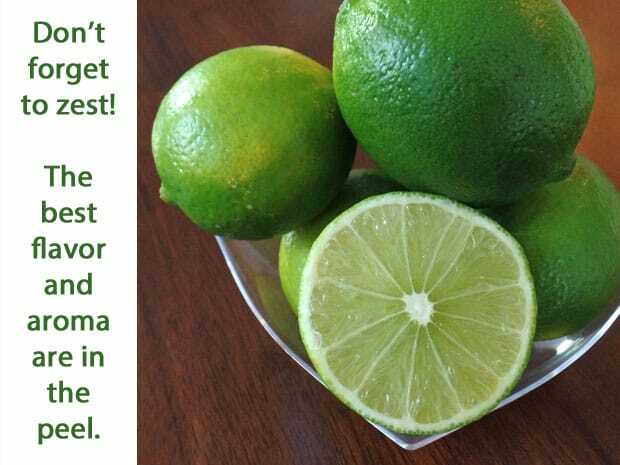 Super helpful before my 6 limes go bad!